Why Are Millennials Such Awful Investors? And What To Do About It. 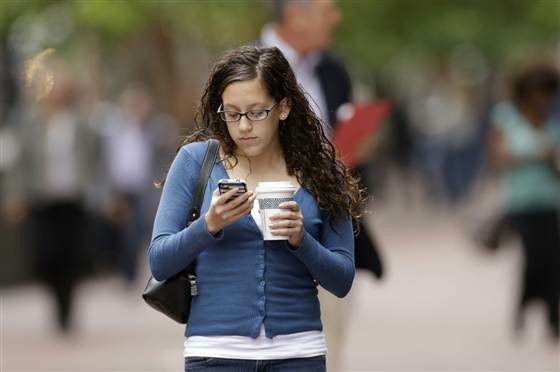 Millennials are more comfortable with smartphones than smart portfolios. Here’s some ways to change that before they find their monthly retirement income isn’t even enough to pay the cell phone bill. When it comes to investing, millennials – young workers now in their twenties and thirties – should be boldly investing for the future. After all, time is on their side, and today’s revolutionary health advances promise them a much longer lifespan. But the sad truth is that when it comes to investing, millennials are running scared. Growing up during the dot.com stock bubble, the housing crash and the financial bust, these young millennials seem so scarred by recent events that they’re afraid to commit to stocks or bonds. “Instead of plunging into equities, which can provide better returns over the long run, young people are stashing savings in bank accounts and securities that pay near-zero interest,” says Nina Glinski, writing for Bloomberg. How bad is it? A UBS Wealth Management survey last year found that millennials hold more than half their assets in cash and less than one-third in stock, while older investors – who one might expect to be more conservative – did exactly the reverse. As a result, boomers and older investors are building their nest eggs while millennials tred water. And unfortunately, with the demise of pensions, and possible cuts in Social Security ahead, millennials can’t afford to waste any more time. Fortunately, here are four proven ways to get millennials off the fence and investing in their futures. Find a cause. Millennials tend to be very cause-oriented, and they’re more inclined to invest if they believe they’re doing good. Investing in a sustainable or socially-responsible fund can make them feel their dollars are working hard for them and for society. There’s an app for it. Plenty of financial calculators show the impact of starting to save now versus later, investing in stocks versus cash, and saving in a Roth versus a 401(k) or traditional IRA. Millennials are more likely to be convinced by graphically-oriented apps, where they control the inputs and can see the impact of their decisions on their future account balances. Automate it. Automatic enrollment in 401(k)s, automatic escalation of contributions every year, and default 401(k) investment choices that put participants into halfway intelligent investment options are exactly what millennials and other novice investors need. Those features can help the millennial worker invest more aggressively while they’re young and have decades of compounding on their side. Talk to the robo. Today’s robo-advisors and automated investment sites are a perfect fit for the millennial who wants a cheap, easy – yet customized – solution. In just a few months, we’ll be rolling out low-cost Schwab Intelligent Portfolios for some of our millennial clients. Schwab Intelligent Portfolios™ is an automated, all-electronic investment advisory solution using Exchange Traded Funds (ETFs) and a cash allocation, but clients will still benefit from our custom-designed investment portfolios and expert advice.